When I first heard about the incessant rains in Chennai I had no clue about the devastation it had caused to the city I grew up in. When I later looked at the videos and photos it was really heart breaking. It really pained me that I was not there and was not able to help the people in need. This was the time I read an article and found few of the twitter posts by actor Siddharth and RJ Balaji. I do have twitter account but I hardly use it. Let me be honest, I am not a big social media fan. Even though I have Facebook, Twitter, WhatsApp etc… I hardly use it. Now when I logged on to twitter and looked at the posts and the number of people involved in making a difference I was completely inspired. I decided instead of feeling bad for not being present in Chennai during this time, I can do something worthwhile. So there began my involvement in doing something useful to help the people in need. The twitter proved that if used well social media is the most powerful tool in the current generation. I was able to help out people providing useful information or guiding them to the right contact being here in the US which would have not been possible like 15 years ago. The other thing which was amazing was the number of young volunteers who were involved in the relief work. It was really inspiring to see how much they were working hard to help the people in need. I met lot of very good people and was able to help a few of them with their needs. It was truly amazing experience to be part of the work which was going on in full swing with their relief work in Tamil Nadu. The kind of pictures we saw of the floods meant that these volunteers braved their way in conditions which were extremely dangerous to help the people who needed food and supplies. There are not enough words to thank these countless volunteers who made the difference during these testing times for the state. 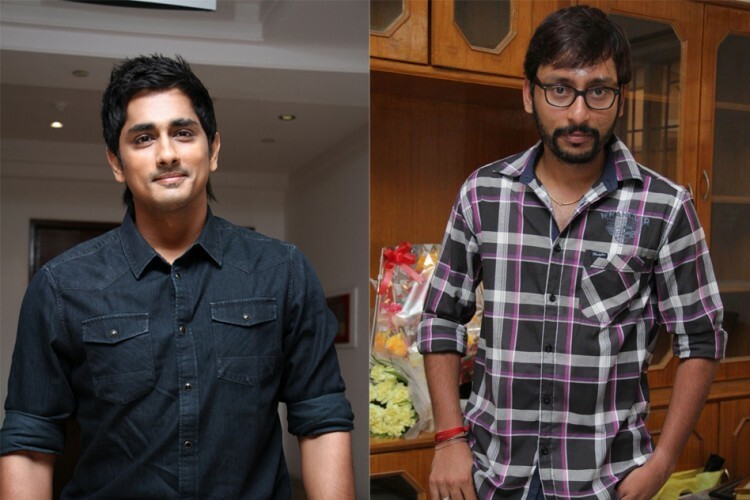 We need to thank actor Siddharth and RJ Balaji who started this movement and used the social media via their #ChennaiMicro movement to reach out to people. They have been brilliant and their team has done some amazing work in the Chennai and Cuddalore which were the most affected. The Tamil film industry in unison was completely involved in the relief work and it was brilliant to see how they were ready to help anyone who needed any supplies. I would also like to mention Khusbhu, Vishal, Vishnu, Karthi, Varalaxmi Sarathkumar, Karthik Kumar, Singer Suchitra, Shanthanu and countless others who joined the movement and were not only in social media but also were in the field helping people in need. These are the real heroes. No amount of thanks can repay the efforts they put in during the time of adversity to help the people of the state. The people of Tamil Nadu have once again proven that humanity is bigger than any religion, caste or language. I am so happy that I took to twitter a week ago as otherwise I wouldn’t have been so close to whatever relief work was happening in TN. I really want to salute all the heroes who decided to leave their homes and go on the streets and help people in need. I would also like to mention the countless brothers and sisters from all over the world (not only from India) who donated generously to help the relief work. The spirit of the people of TN has been heartwarming. Even though we were not getting much attention in the national media, the people brushed it off and helped themselves to recover from one of the largest natural calamity the state has faced since the tsunami of 2004. I am really proud of my state and my city. I am really proud of the Tamil film industry. This has been really a rewarding experience and I would like to keep myself involved in every way possible in the state’s rehabilitation work.